First up, my favourite thing about November is that I am FINALLY employed, and at my favourite shop as well! It's been a bit up and down trying to get used to it all, but now I feel settled and I'm absolutely loving it. 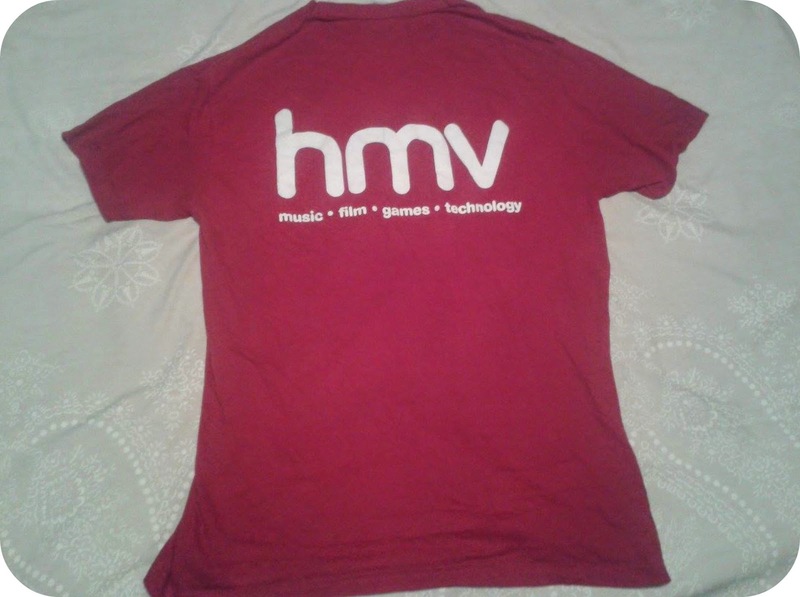 Up above is the HMV shirt I have to wear, which is a pretty cute pink colour, really. So yes, being able to have much more money is fab, and doing something I love is an added bonus. With a lack of funds up until about last week, the beauty purchases have been pretty minimal this month. 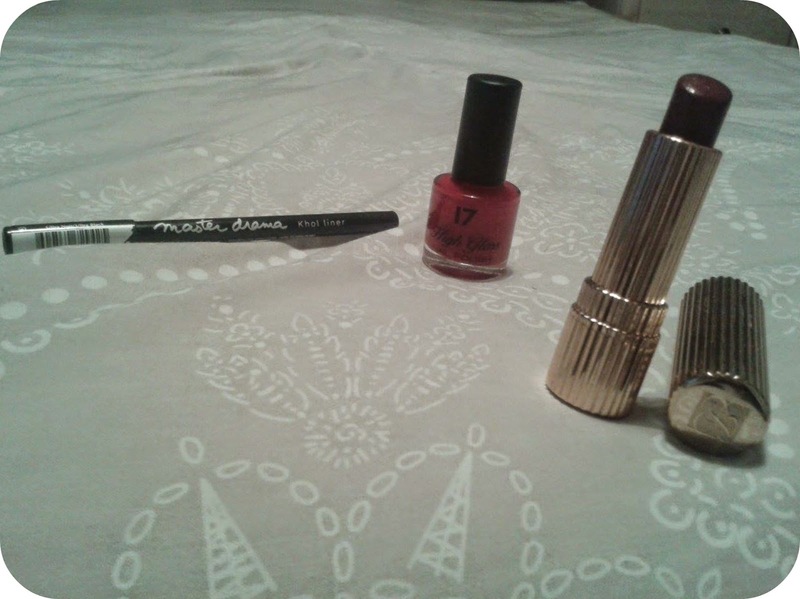 On the left there is my old faithful, the Maybelline New York Master Drama Khol Liner which was £4.49 from Boots. Although fairly cheap, it's the best eyeliner that I've ever tried! Sometimes you get cheap ones that barely even come up out properly on your waterline but are passable on your skin, but this one is a complete all-rounder, SO good! Next to it is the 17 High Gloss - Risky Red nail polish, which I purchased back in August at a Carboot Sale. This month I traded in my usual mint green Essie nail polish for this one and I LOVE it! Red is such a glam colour, it looks brilliant on my nails. Finally on the right was a purchase actually made this month, hallelujah! It is the Estée Lauder Signature Black Cherry lipstick, which I believe was £21.00 from Boots. This is pretty steep for a lipstick, yes. My last one ran out and my mum picked out this one for me. Firstly, the packaging is fantastic, I'm absolutely loving the gold. The colour itself is a little lighter than I was expecting for something called black cherry, I mean it LOOKS dark, but when applied it comes out fairly lighter. It's a lovely colour, but because I'm such a lover of dark lipstick, I would've preferred one a few shades darker. Still, I will definitely be using it after paying that much! This is SO cute! I recently met up with my best friend Emma to see the fireworks, and she got me a couple of presents! 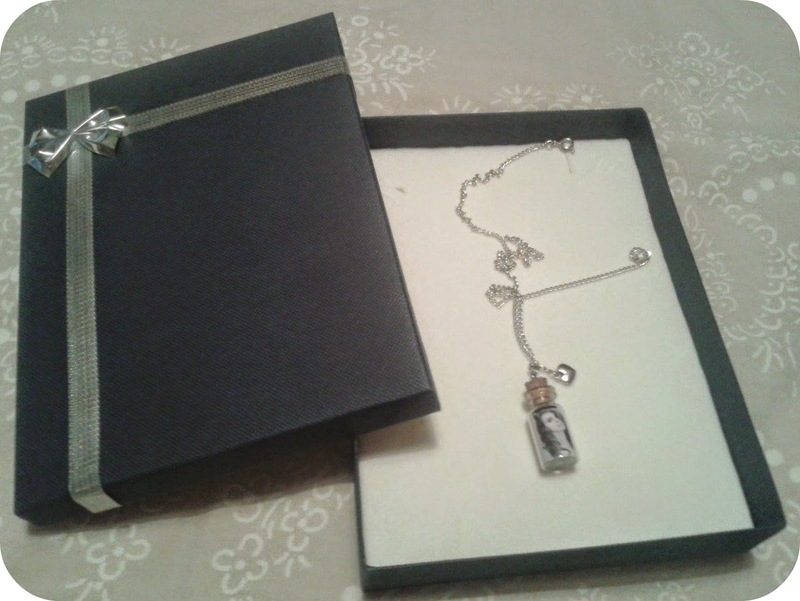 Some galaxy chocolate, and this beautiful necklace! As it was a present, I'm not sure where it's from, but it's style like a bottle with a corkscrew, with an image of Lana Del Rey inside. I ADORE Lana, so this was such a lovely gift. The box it came in is also stunning! So, these are a couple of entertainment-based things. Firstly, a couple of weeks ago I received a parcel and was so excited as I couldn't remember anything I'd recently ordered! So, I opened it and the lightbulb moment happened, as I had sent off for a free The Blogger Programme tote bag about a month prior! 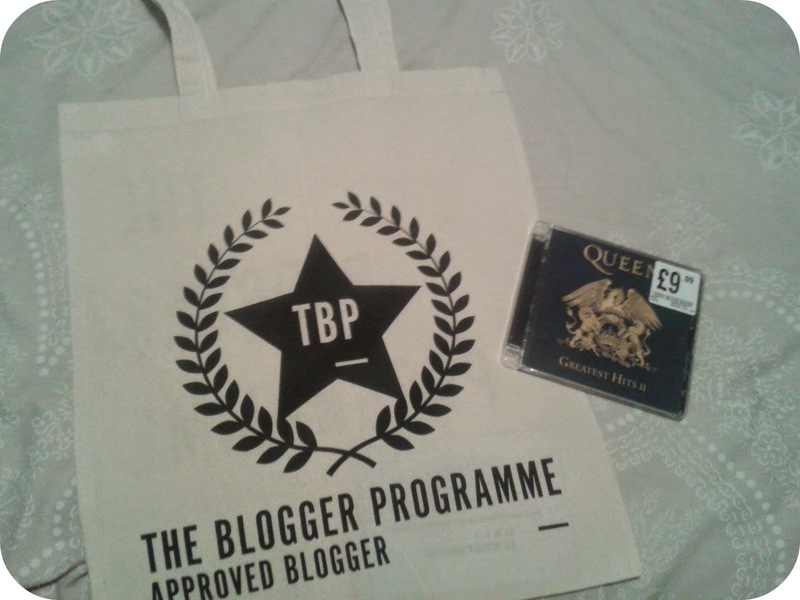 I adore tote bags, and how appropriate for blogging, it was totally free too, which was a bonus. Next to that is the Queen Greatest Hits CD which was £9.99 from HMV, and ever since it was Queen/Michael Jackson week on X Factor, the CD has been hammered in my household, but I almost recognised EVERY song! Possibly the most radio-friendly band ever? Last but not least, TV shows! Firstly, Some Girls was back on BBC3 for it's third series about two weeks ago, and it's been just as instant and hilarious as the first two, gotta love consistency. 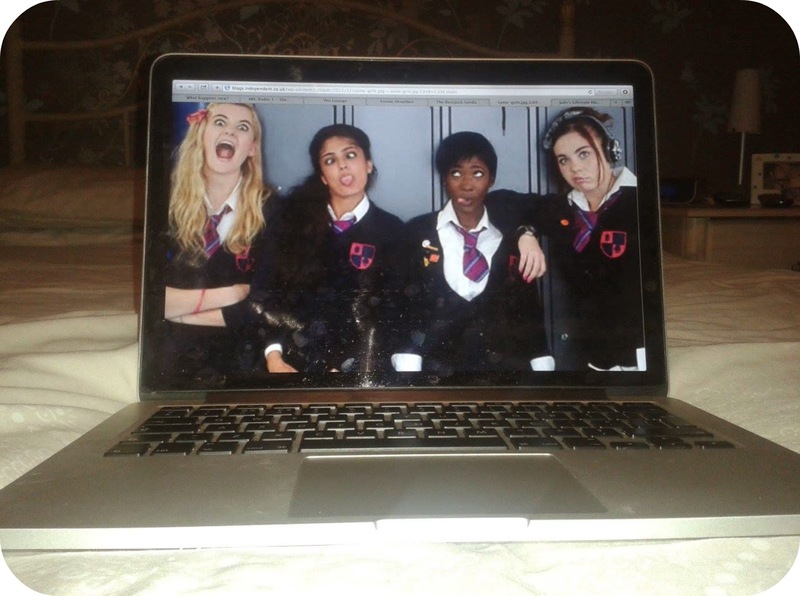 It's almost like a female version of The Inbetweeners, and is highly underrated outside the twittersphere! Underneath however is the ever-popular I'm a Celebrity...Get Me Out of Here! which was back on ITV over a week ago. It got off to a rocky start with the departure of Gemma Collins and Craig Charles, but soon picked itself back up again and has fast become must-watch TV. 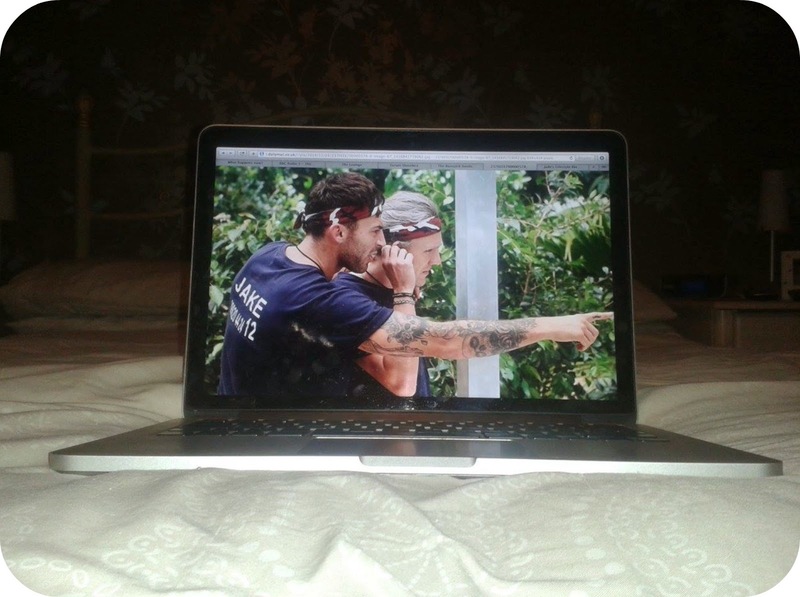 Pictured above was the Cube challenge, featuring my current two favourites Jake Quickenden and Jimmy Bullard. 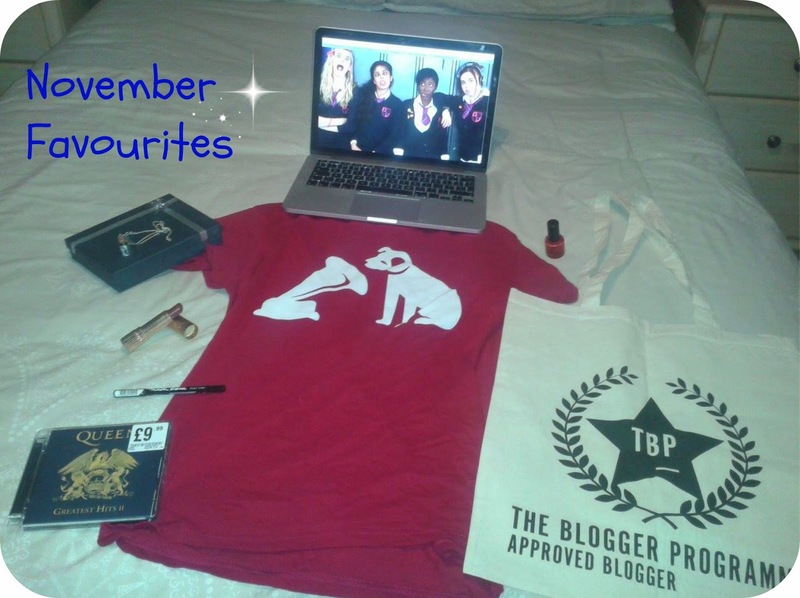 So that was my November favourites! I'm so excited for what December brings after a brilliant November. What were your favourites this month? See you tomorrow for day 2 of blogmas! Oh that's a sweet blogger tote! I know right, and it was free! Some Girls is so funny! 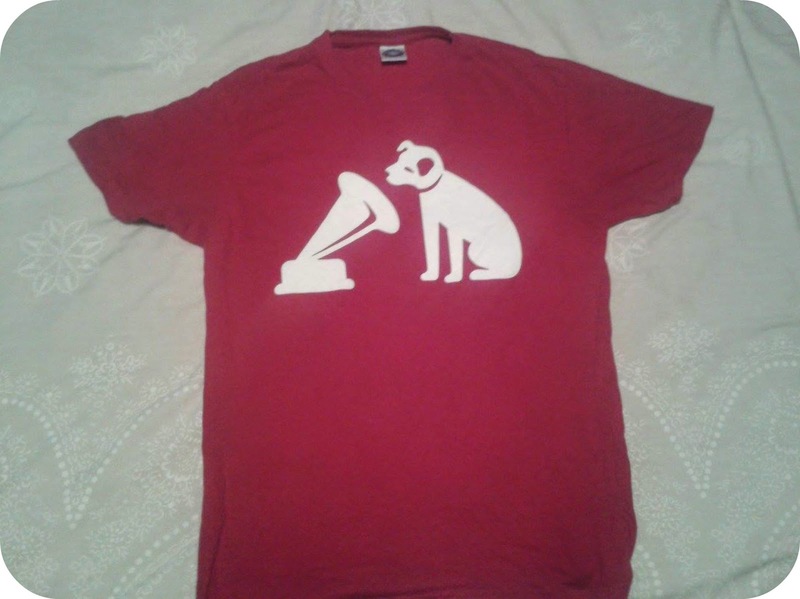 Plus congratulations for your HMV job! I know right, the quality hasn't hindered at all! Thank you so much, lovely!